22 years later, has Lara learnt anything from her adventures? Lara Croft has been in 23 video games and three films – and made countless other media appearances – since her debut back in 1996, and it is easy to see how much the character has grown in those 22 years and three reboots. The most recent reboot in 2013 fundamentally changed the character from a sarcastic and witty adventurer to a young and scared survivor. The change, while unpopular at first, was quickly accepted, and 2013’s Tomb Raider is seen as an excellent change of pace for the series and a fantastic game in general. Many see Lara Croft as a bland character, who exists as nothing more than somebody for gamers to ogle, but her characterisation has always been far deeper than that. From the outset, Lara Croft has been an independent woman with her own goals and acts as a classic anti-hero. What’s notable about her in comparison to other female protagonists is that within the universe, she never falls into the trap of using her sexuality as a weapon or tool, as so many others do (for examples of this, see Bayonetta, Lollipop Chainsaw, Saints Row and countless others). In the more recent games, her gender is never commented on and it’s never shown as ‘against the norm’ for Lara Croft to be an adventurer. A huge part of Lara’s unwitting sexualisation is her design, particularly her exaggerated breast size. While this was an element in the earlier titles, it was never quite so pronounced as pop culture would have us believe, and was present far more in marketing than the games themselves. However, it was present and it was an issue, one that has happily been slowly rectified. In the current games, Lara has a far more realistic figure, which should be recognised as an important step in her development. 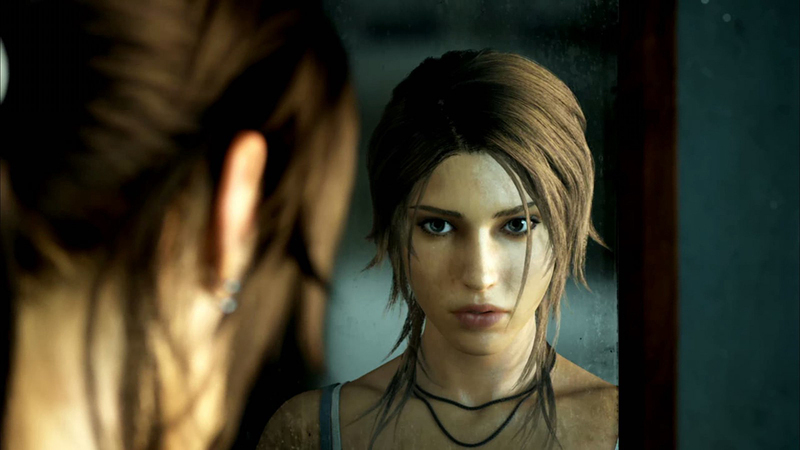 Many made the point that her ludicrous chest was one of her defining features, but the most recent games’ success has proven that Croft is far more than her physical attributes. The 2013 Tomb Raider game put Lara through increasingly horrifying events to turn her into the survivor the games wanted her to be; she was impaled, shot, stabbed, dropped, and exploded more times than probably necessary, not including the many times that players failed a task and got killed. A common fear was that this new iteration was less capable and ‘strong’ than the previous versions, as she was constantly shown being out of breath, overwhelmed and terrified. In a sense, Lara is not as capable as she once was, but she’s also a much stronger and more well-rounded character. Although she goes through intense trauma, it never feels out of place or meaningless, as it always adds to the story and pushes Lara in a new direction. For possibly the first time, Lara Croft has the opportunity to grow and develop, to become stronger through trials, rather than stagnating through her adventures. Lara Croft has come a long way from the woman who originally jumped, shot and stole her way to fame in 1996. Many different iterations have come and gone, bringing benefits and drawbacks each time, and it’s important that we recognise that development and allow her reputation to progress with her. She is a fascinating and complex character both in-universe and out, and I look forward to seeing where her adventures take her in the future.